Featured Speaker: Rev. 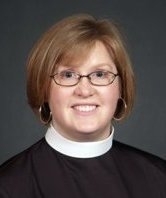 Elizabeth “Libby” Howe, Director for Evangelical Mission and Assistant to the Bishop of the La Crosse Area Synod. Cover image by Tina Buchal.